India and Bangladesh signed a slew of agreements on Saturday, including a $4.5 billion concessionary line of credit from India for development projects in Bangladesh, as the South Asian neighbors try to deepen their ties. Indian Prime Minister Narendra Modi and his Bangladeshi counterpart, Sheikh Hasina, held wide-ranging talks in New Delhi, exchanging views on defense, regional security and cooperation in combating international terrorism. Officials from the two sides signed 22 agreements, including a framework deal for defense cooperation over the next five years and an additional $500 million for Bangladesh to buy military equipment from India. The two sides also signed an agreement on civil nuclear cooperation under which India will help Bangladesh develop its civilian nuclear program. 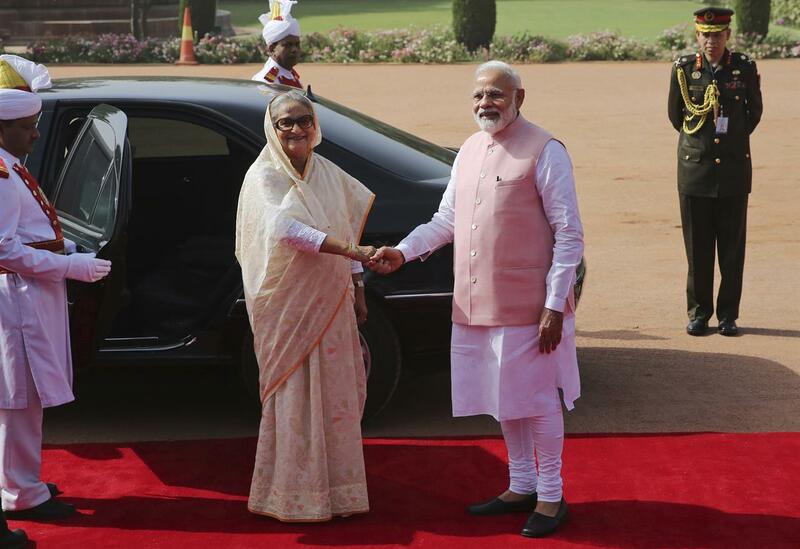 Modi said Hasina's visit marked the "golden era" of India-Bangladesh relations and described India as "a long-standing and trusted development partner of Bangladesh." India and Bangladesh share a nearly 4,100-kilometer (2,545-mile) border. The two countries have had a close relationship since 1971, when Bangladesh, aided by India, gained independence from Pakistan following a bloody nine-month war. Indian Prime Minister Narendra Modi walks with his Bangladeshi counterpart Sheikh Hasina at the Presidential Palace in New Delhi, India, Saturday, April 8, 2017. 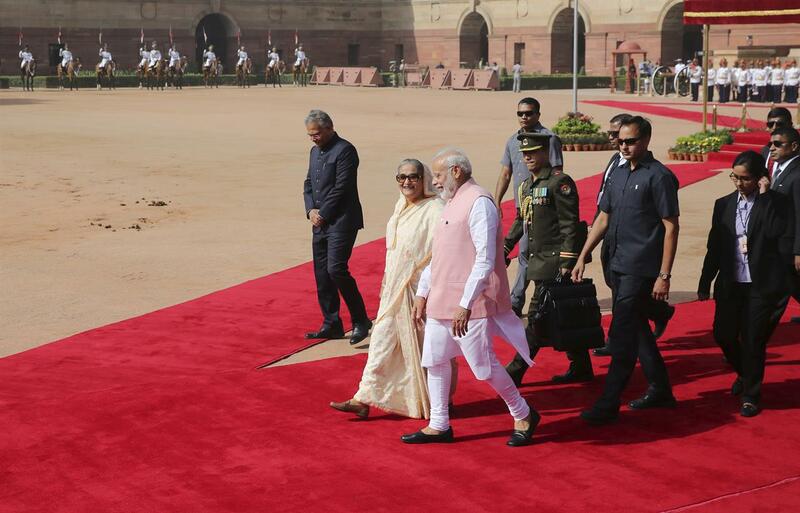 India and Bangladesh have signed a slew of agreements, including a $4.5 billion concessionary line of credit from India for development projects in Bangladesh, as the South Asian neighbors try to deepen their ties.